Monaco is a sovereign city state on the French Riviera. It is bordered on three sides by its neighbour, France, and its centre is about 16 km (9.9 mi) from Italy. Its area is 1.98 km2 (0.76 sq mi) with a population of 35,986 as of 2011 and is the most densely populated country in the world. Monaco boasts the world's highest GDP nominal per capita at $151,630. Monaco also has the world's highest life expectancy at almost 90 years (CIA estimate, 2011), and the lowest unemployment rate at 0%, with about 40,000 workers who commute from France and Italy each day. Monaco is the second smallest country (by size) in the world; only the Vatican City is smaller. Monaco levies no income tax on individuals. The absence of a personal income tax in the principality has attracted to it a considerable number of wealthy "tax refugee" residents from European countries who derive the majority of their income from activity outside Monaco; celebrities such as Formula One drivers attract most of the attention, but the vast majority of them are less well-known business people. 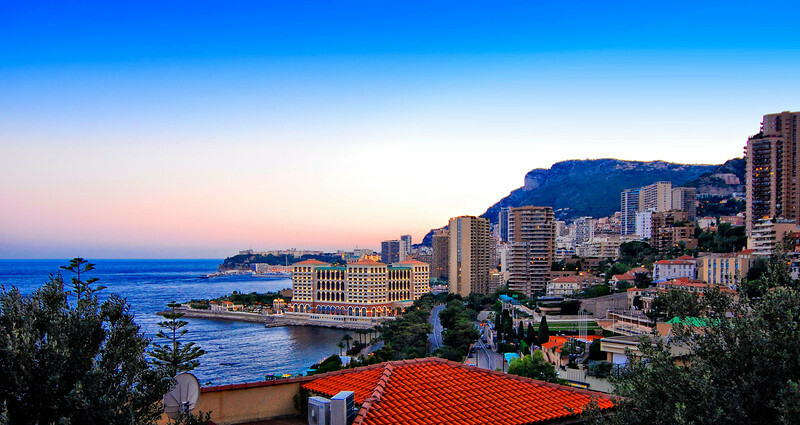 Monaco has a warm-summer Mediterranean climate (Köppen climate classification: Csa), which is influenced by the oceanic climate and the humid subtropical climate. As a result, it has warm, dry summers and mild, rainy winters. Cool and rainy interludes can interrupt the dry summer season, the average length of which is also shorter. Summer afternoons are infrequently hot (indeed, temperatures > 30 °C /86 °F are rare) as the atmosphere is tempered by constant sea breezes. On the other hand, the nights are very mild, this being due to the fairly high temperature of the sea in summer. Generally, temperatures do not drop below 20 °C in this season. In winter, frosts and snowfalls are extremely rare, generally occurring once or twice every ten years.